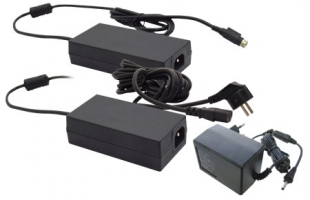 Zebra has original AC adaptors in stock for all products of our manufacturers. In order to guarantee smooth, failure-free operation, it is recommended to use only original adaptors or recommended alternative adaptors. Please make sure that your order does not already include AC adaptors. Additional cables for non-EU countries, like the United States or Australia, are available for most adaptors as well. Special variants for applications under unusual conditions are available on request e.g. grease-repellent adaptors for use in kitchens. You are welcome to ask for favourable alternatives when ordering.